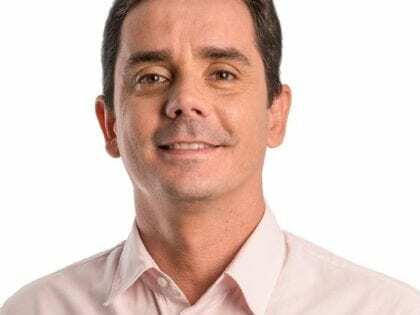 Fabiano Horta, the Mayor of Maricá, Brazil, has extended the unconditional income already distributed in Maricá, Brazil, to all its residents. He also aims at raising the distributed value tenfold during 2017. The unconditional income is paid in Mumbuca, a local social currency. One Mumbuca is valued at one Real. The initial income was 10 Mumbucas per month, roughly equivalent to 3 €/month. It was introduced by Washington Siqueira (known as Washington Quaquá), who was Mayor of Maricá until late 2015. This was reported on at the time. The modest amount was given independently of the recipient’s job status, and initially only distributed to the town’s poorest residents, around 35,000 people. Under Mayor Fabiano Horta the program has already been extended to all residents (around 150,000 in total) in Maricá. Like Quaquá, Horta is a PT party (left-wing) affiliate and federal deputy. Horta wants to raise the unconditional income, financed by the town’s oil revenues, to 30 €/month during 2017. This unconditional dividend is supplemented with conditional subsidies to poor families, where an extra 85 Reais/month (28 €/month) is available from current welfare programs. The stipend is being paid electronically in the Mumbuca social currency even though fewer than 10% of all businesses in Maricá accept Mumbuca (businesses have to wait more than a month to get Mumbuca exchanged into Reais by the government). The program has been criticized by opposing politician Fillipe Poubel, who says that people will become dependent on the stipend. Poubel calls for the creation of jobs instead. Horta maintains the unconditional income will stimulate local economy. He also has said that the town will be able to scale up this project “in an exponential way over the next ten years”.